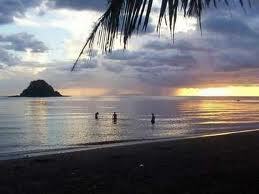 CALBAYOG City will develop two popular tourist spots in a bid to attract more tourists. Ronald Ricafort, the newly designated acting city tourism officer, said two popular destinations in the city are prioritized for rehabilitation and development by the City Government. “We have identified so far two potential sites to be developed that have structures and access to sites. These are the Malajog Beach and the Bangon Falls,” Ricafort said. He said the Malajog Beach at Barangay Malajog is popular among the locals because of its clear and cool water, adding that it is only a 40-minute ride from the city proper and has about 200 meters of grayish sand and some rock formations and greeneries on its southern side. Although Malajog Beach is popular among the locals, the road leading to the beach has to be rehabilitated, Ricafort said, noting that they have already started concreting the access road. According to Ricafort, they are also planning to repair and construct some cottages and would put up toilet and bath facilities as well as a parking area and food outlets in Malajog Beach. “No more dogs, no more (bringing of) foods, no more cleaning of utensils (in the beach),” he said. Ricafort said another big plan in Malajog Beach is the construction of an 800-meter “nature walk” to the rock formations that face the Samar Sea, three viewing decks, and three hanging bridges.